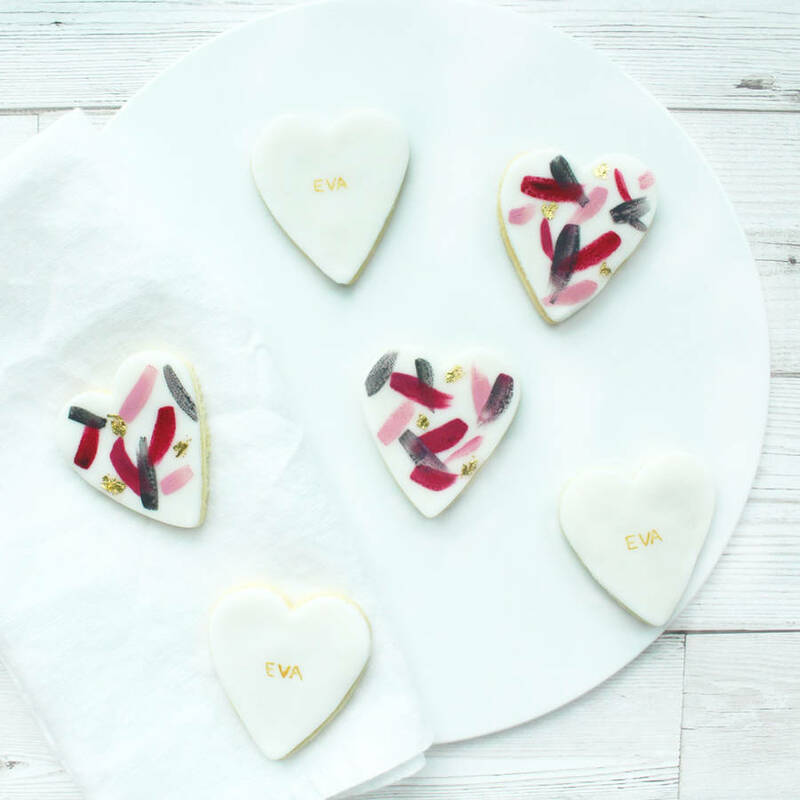 This set contains six of our scrumptious vanilla sugar cookies. 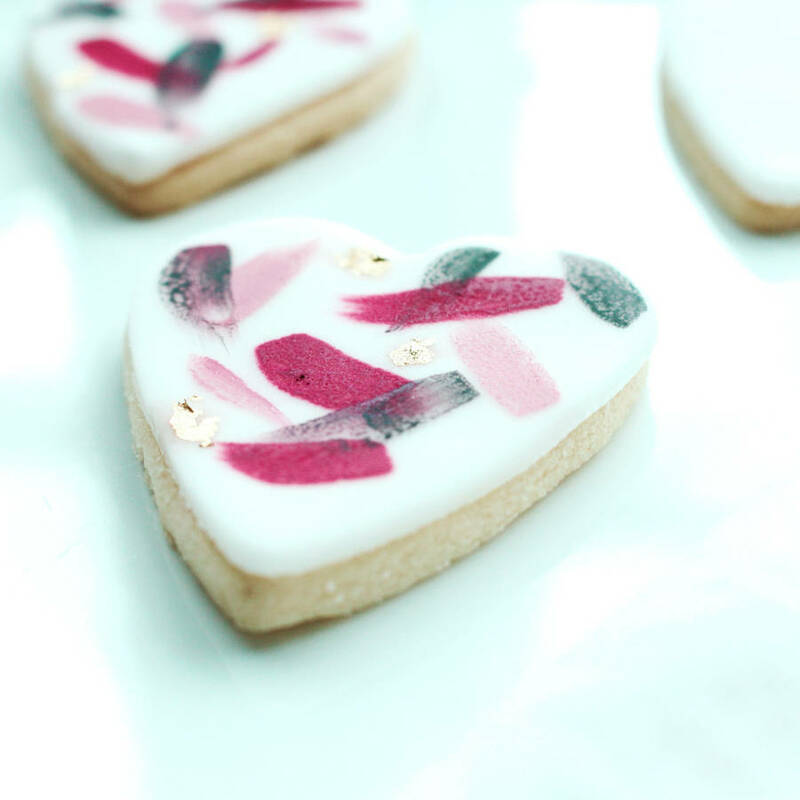 We use British sourced ingredients wherever possible in our treats. As all of our products are handmade, there may be slight variations in colour and size – but we think this adds the perfect touch. Our standard box can be popped through a standard letter box. A personalised gift card can be included. You can personalise your cookies e.g. name, by selecting the customised option. We recommend keeping personalisation to under three words, but if you would like more, please use the ‘Ask The Seller A Question’ button. Cookies: Flour, Butter, Confectioners’ Sugar, Corn Flour, Eggs, Vanilla Extract. Icing: Sugar, wheat glucose syrup, palm oil, water, humectant glycerine, emulsifier mono- and diglycerides of fatty acids, stabilisers xanthan gum and carboxy methyl cellulose, preservative potassium sorbate, flavouring, colouring*, gold leaf. Please note that our cookies contain eggs, wheat, and dairy, and are made in a kitchen where nuts are present. Store your cookies in a cool, dry place. If they are popped in an air tight container, we recommend they are best enjoyed within one month of the purchase date, otherwise, eat within five days for the crunchiest cookie. 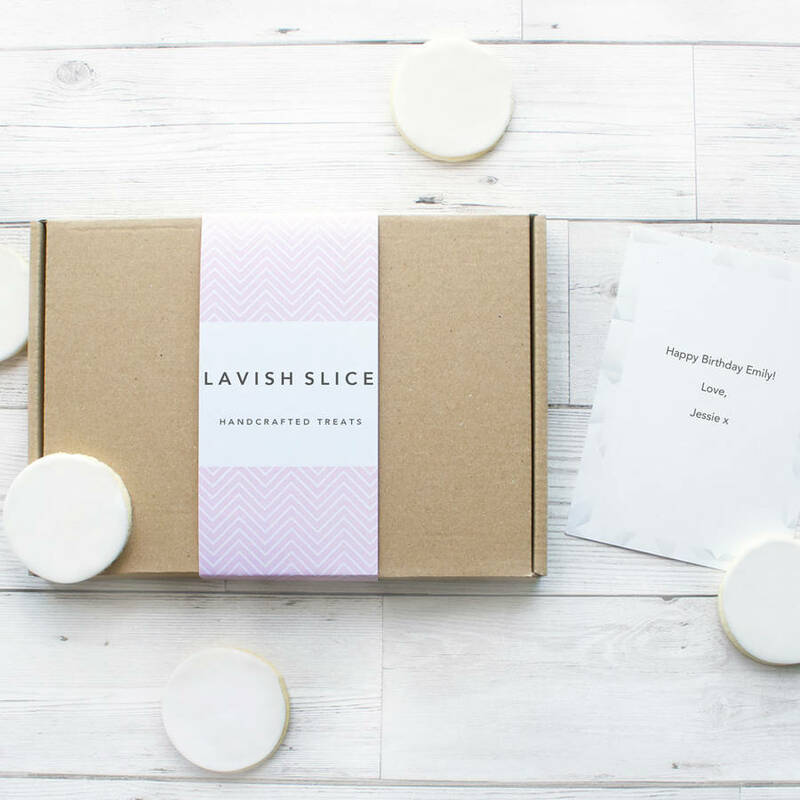 This product is dispatched to you by Lavish Slice. All orders are delivered via Royal Mail 1st Class Signed For - this usually means your order will be delivered the very next day after we've dispatched your item. On the rare occasion, Royal Mail may not be able to deliver the next day and unfortunately this is out of our control. If you'd like your package to be sent via Royal Mail Guarenteed, please select 'Tracked Express Delivery' upon checkout.